East Coast grinders prepare for the return of the WPT Borgata Poker Open Main Event on September 16. 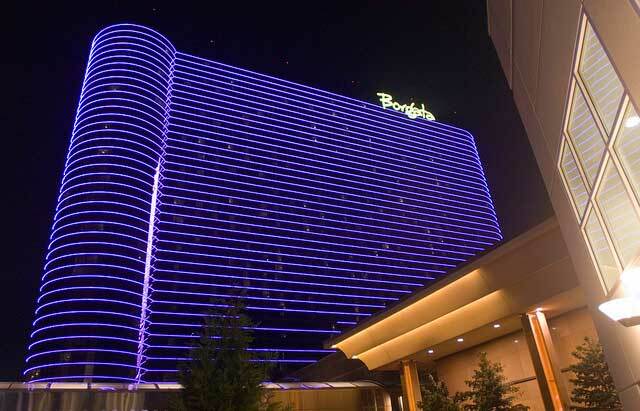 The World Poker Tour returns to the East Coast for the popular WPT Borgata Poker Open. Taking place from September 16-23, the third stop of Season 17 features a $3,500 Main Event with a $3 million guarantee. Those looking to play in the tournament will find what the players on tour have come to expect: a Main Event worthy of being called a major title. It begins with sixty-minute starting levels that expands into 90-minutes as the tournament progresses. The 40,000 starting stack (400bb), the big-blind ante and a 30-second shot clock (when the tournament is one table away from the money) gives players plenty of room to maneuver but also keeps the action moving quickly. There are two scheduled two starting flights with unlimited re-entry. So, players may want to consider registering early if they want to avoid being an alternate as the Main Event has drawn more than 1000 entries every year since Season 8 when they dropped the buy-in from $10,000 down to $3,500. The partnership between the World Poker Tour and Borgata Hotel Casino & Spa reaches all the way back to Season 2 (2003-2004) when Noli Francisco defeated a final table that included poker heavyweights David Oppenheim and Carlos Mortensen for a first place prize of $470,000. Since that time, the Atlantic City resort has been a staple of the tour and has crowned some of the biggest names in poker as its champion. Daniel Negreanu, Mark Newhouse, Vivek Rajkumar, Olivier Busquet, Anthony Zinno, Jesse Sylvia and four-time WPT champion Darren Elias have all hoisted the Borgata Poker Open trophy over the past 15 years. Last year, in Season 16, a field of 1,132 runners helped push the prize pool to over $3.6 million dollars. Virginia resident Guoliang Chen’s poker dream came through when he went on to close out the final table, that included PocketFives Legacy Award winner Cliff Josephy, to earn $789,058. It was easily a career-best cash for the East Coast grinder who is likely to be in the field in 2018 to defend his title. It’s still early in the WPT season and so the Player of the Year race is still very much wide open. Simon Lam who won $565,055 for his victory at WPT Garden Poker Festival in Los Angeles and WPT Choctaw winner Brady Holiman are tied for the lead. Lam, who currently lives in Los Angeles but is from the East Coast, was a longtime Borgata regular. In fact, last year, he took fourth in this very event for $250,970. There’s a good chance with his recent WPT success and his results from last year, Lam will return to make a run at another 2018 title. However the player to keep an eye on, should he show, is Men “The Master” Nguyen. That is, if Nguyen can even keep his own eyes open. Through the first two WPT Main Tour stops, Nguyen has been more than just a presence on the tour, he’s been a big part of the show. He made the final table at The Gardens Casino, but not before literally falling asleep at the poker table. He also tried to take a bet back after he saw he lost the hand. Nguyen ended up finishing in third place for $270,430. “The Master” then marched on to Choctaw and went deep again, taking 11th place for another $36,230. Those two results have put him third in the early POY race and should he show at Borgata he’d be in a position to take the lead. For those looking to follow all the action from the Borgata, the World Poker Tour live updates team will be keeping track of all the biggest hands. The WPT will also be live streaming the final table, which will begin on Friday, September 21 at 2 pm. Viewers can catch the broadcast on the WPT website or YouTube page. All of the action gets underway with Day 1A of the WPT Borgata Main Event on Sunday, September 16 at 11:00 am ET.